£20bn less than existing plans for HS2 & HS3. Improves 94% of journeys and reduces journey time by an average of 40%. Saves 600 million tonnes of CO2 and avoids the Chilterns AONB. 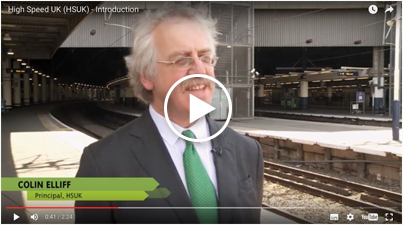 Improves regional rail across the UK and integrates with the existing rail infrastructure. High Speed UK (HSUK) is an alternative high speed rail network developed by professional railway engineers to address the shortcomings of HS2. On a like-for-like basis HSUK trumps HS2 in every aspect. These gains in rail network capacity and connectivity are essential to rebalance the UK economy and bring about step-change reductions in transport CO2 emissions.